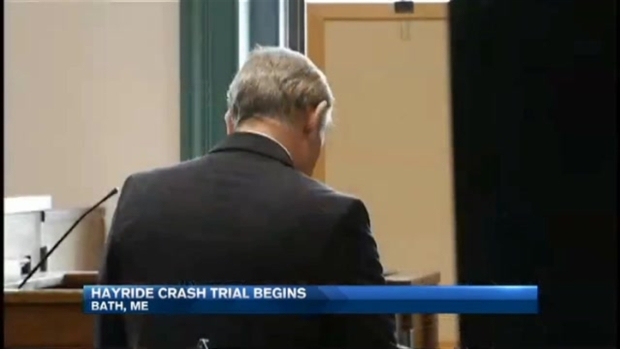 A prosecutor told jurors he intends to show that a Jeep driver involved in a fatal Halloween-themed hayride crash knew the brakes were defective, but the defense contends maintenance wasn't the driver's responsibility and the brake failure couldn't have been anticipated. David Brown disregarded the risk that driving a Jeep with weak brakes could cause serious bodily injury, Androscoggin County deputy district attorney James Andrews said Thursday. Defense lawyer Allan Lobozzo told jurors the Jeep could safely pull the hay wagon and the brake failure was sudden and catastrophic. More than 20 passengers were hurt in the October 2014 crash, and 17-year-old Cassidy Charette, of Oakland, was killed. Brown and a mechanic were charged with reckless conduct, a misdemeanor. A grand jury also indicted Harvest Hill Farms, where the haunted hayride took place. All have pleaded not guilty. 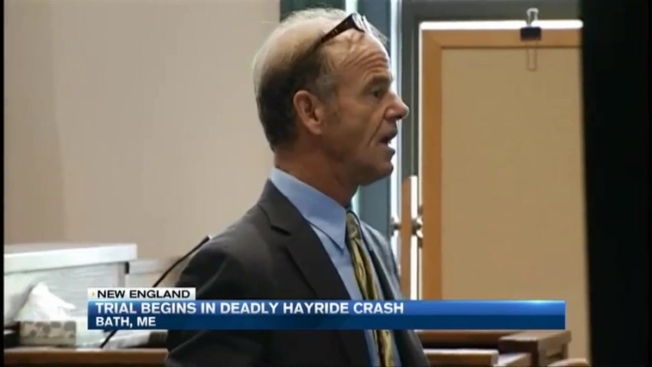 The Maine man who was behind the wheel of the Jeep involved in a fatal Halloween-themed hayride crash two years ago in Mechanic Falls is set to go on trial in Bath. The Gauntlet Night Ride of Horror featured a hay wagon pulled by a 1979 Jeep. The wagon careened out of control after the Jeep's brakes failed, and riders were tossed into trees. Brown was among the injured. The case was being tried in Superior Court in Sagahadoc County after the defense attorney raised concerns about Brown's ability to get a fair trial in Androscoggin County, where the Harvest Hill Farms was located in the town of Mechanic Falls. The Harvest Hill Farms property was sold at an auction for $1 million in July after owner Peter Bolduc's corporation filed for bankruptcy. Charette's family has filed a wrongful-death lawsuit that names Bolduc and Brown. The lawsuit doesn't seek a specific dollar amount in damages.